This Elvis Presley biography elvis movie page is dedicated to providing quality Elvis Presley biography information, pictures and articles for your entertainment. The contents of this Elvis Presley site is written by a fan for his fans about elvis movie. In the 60’s, the boys, Red West, Marty Lacker and Joe Esposito went everywhere with Elvis. Elvis was in great demand making back-to-back movies, as many as three a year. With the demanding activities of his busy life he had very little time at the end of the day for his own recreation. So Elvis started taking uppers when his day of filming was coming to a close, Elvis and the boys would then go out for an evening of fun and games. 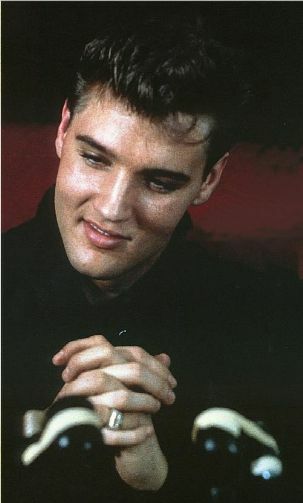 During those demanding movie years, Elvis became dependant on pills to help him sleep, also to wake him up. Although the movie making days were very demanding, Elvis enjoyed being part of these years, he enjoyed being on location with his friends, he loved being surrounded by all the young actresses on the set with him. The Memphis Mafia boys loved being involved in the fame and glamour, too. They didn’t think that being high was such a huge price to pay for being part of Elvis Presley’s magical world. But as time went on the pills where becoming more frequent and in stronger doses. The boys no longer looked at popping pills as being fun — it became frightening! Vernon Presley loved his son dearly and was very concerned about Elvis’ growing dependence on the drugs. Vernon hired a private detective from 1969 to 1975 to find out how his son was getting the drugs. When Vernon confronted Elvis with the information he had received. Elvis just smiled at his daddy and told him if he didn’t drop the conversation, he would be cut off his 75,000 annual income. Vernon didn’t give up, he loved his son very much and wasn’t about to ignore his alarming concerns for his sons health and well being. Vernon though that the Memphis Mafia boys were a bad influence on Elvis, so he fired them≈Elvis would rehired all his boy back. Vernon always tried to stay close by his son, in case of a real emergency arising. And naturally, Vernon tried to save his son, but there seemed to be nothing he could do. The Elvis Presley biography contents are solely the opinion of the author and should not be considered as a historical fact or authority on the facts. The author and the Publisher assume no responsibility or liability and specifically disclaim any warranty, express or implied for any products or services mentioned, or any techniques or practices described. The purchaser or reader of this publication assumes responsibility for the use of these materials and articles and information. Neither the author nor the Publisher assumes any responsibility or liability whatsoever on the behalf of any purchaser or reader of these materials.